Tag sales are non existent at this time and estate sales are few and far between as well so when I saw an ad for an estate sale just about 5 minutes from my house I had to check it out. When I walked in the door of a large and very beautiful house there were a few small tables set up with some toys and small items with tag sale type price stickers on them. I saw a basket of dinosaurs with a $1 sticker on it. 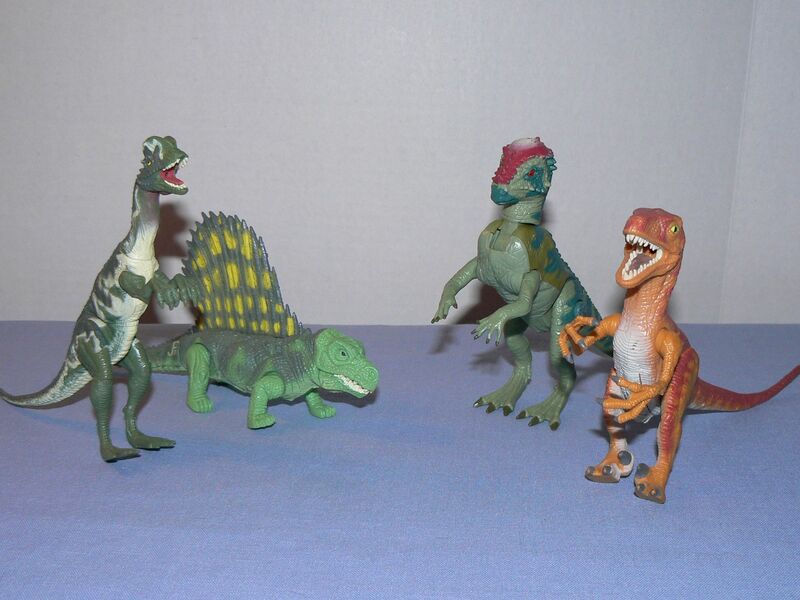 I looked through and pulled out 4 Jurassic Park dinosaurs. Then I went to look around the house. There were no prices on anything anywhere. I asked – “Is there stuff upstairs” and an older gentleman told me that there was a bedroom set for sale. When I went upstairs I saw 4 bedrooms with stuff all over the rooms. Some of it was in boxes, some was just strewn about. I had no idea what was for sale and what was not. I decided to go downstairs because someone there said that there was a downstairs. I saw a box of Christmas ornaments that I looked through but again saw no prices. I came upstairs and asked a woman who seemed to be in charge if the ornaments were for sale. She said “Oh no – I have to put a sheet over them.” I have no idea what, if anything was for sale in that house but I had a feeling some ugly stuff might start to happen if people started coming up with their arms full of ornaments. I paid $1 for my four dinosaurs and left. Not too productive. I had a few thrift store finds. I purchased this mint in the package set of toys for the Cabbage Patch Kids. Since the year was 1984 I knew it was the older stuff which is what tends to sell in that category. I put it up for $14.95 and it sold within 30 minutes. 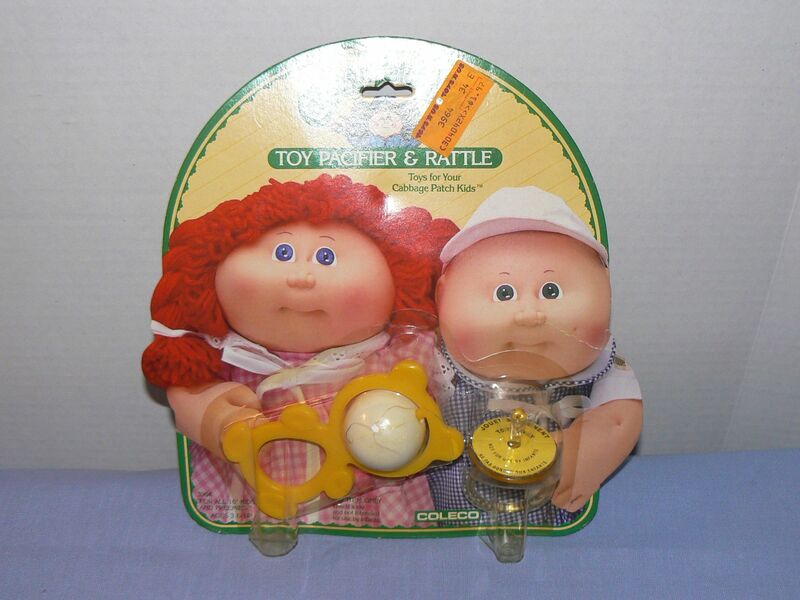 I had to have a Cabbage patch at the age of 21 when they first came out. I wasn’t going to miss out on a great doll just because I had supposedly become an adult! The rattle and pacifier set was purchased for $2. 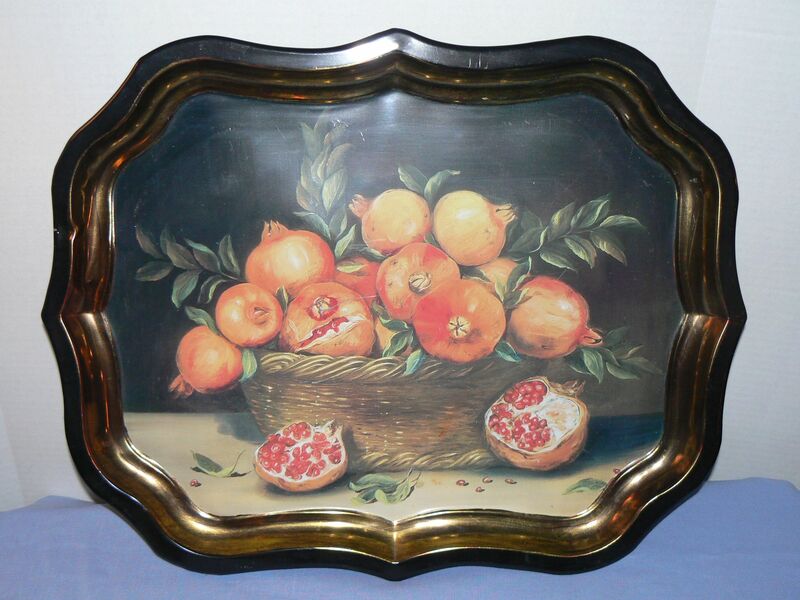 This pomegranate tray was something I had seen and went back for after looking it up and seeing one had sold for over $60. I don’t know if mine will sell though because there is a big scratch in the center of it. The name of the artist is Mimi Rogers.It’s a little ornate for my taste, although I do like pomegranates! It was $5. Another purchase I made at the thrift was a little pricey at $8. I really miss tag sale prices!!! 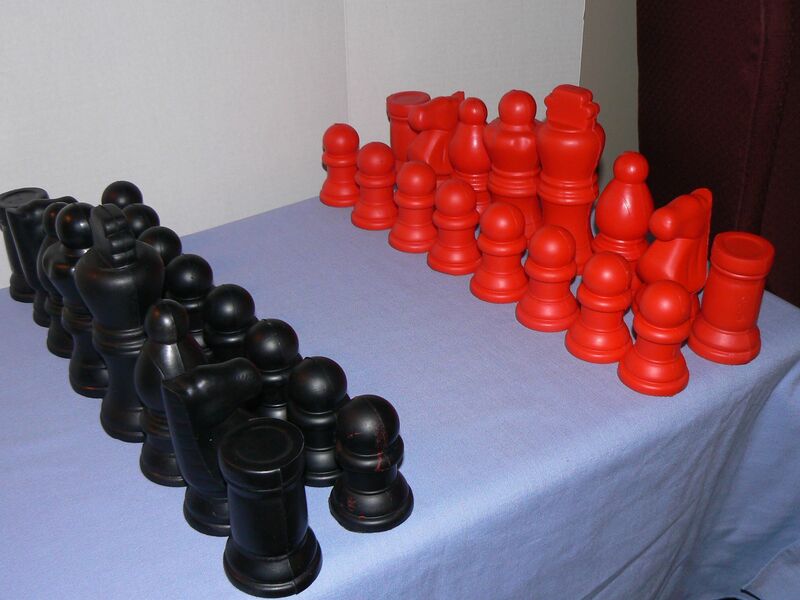 This was a red and black set of oversized chess pieces. Last winter I sold an oversized chess set with large plastic pieces and a game board for $50. I thought this was a similar item although these pieces are foam instead of plastic and there is no board. 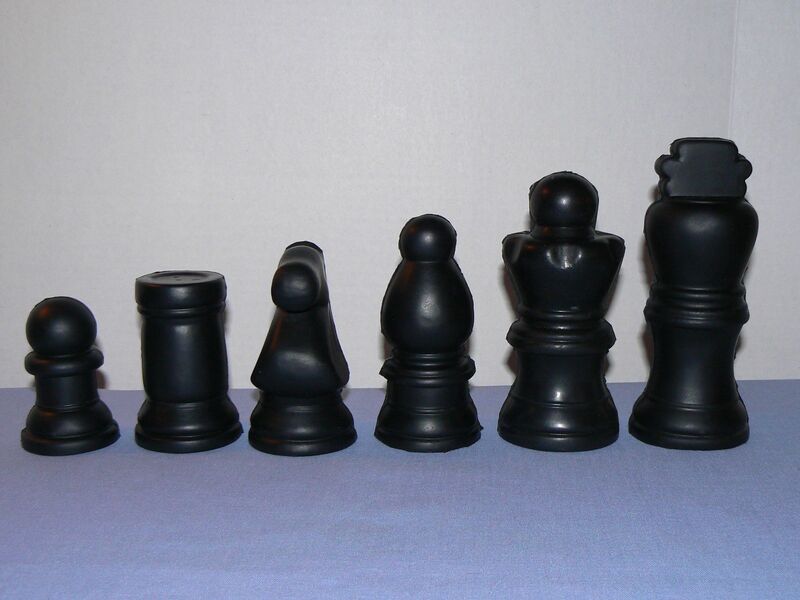 I think people like these big chess pieces to teach children about chess. 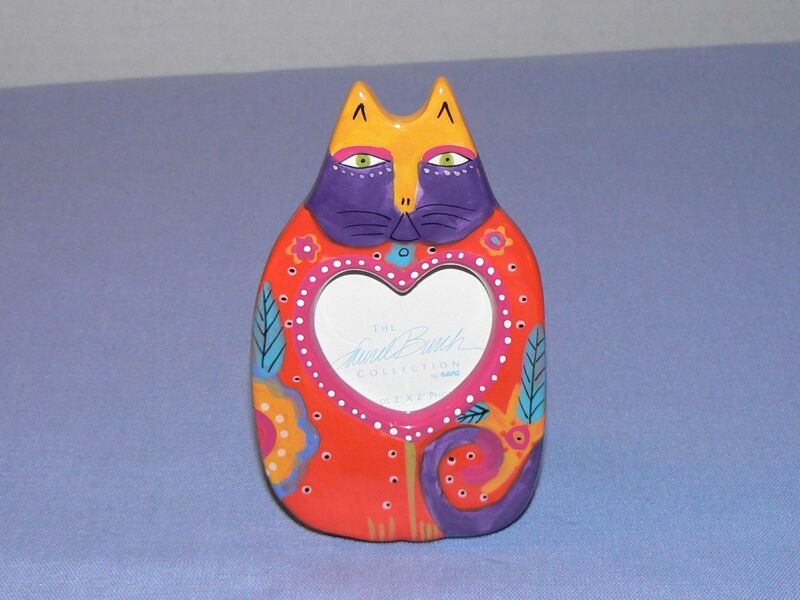 I spotted this Laurel Burch cat picture frame in a $3 plastic bag hanging on the wall. I don’t usually find good things in those plastic bags but I knew Laurel Burch items can sell. I hope to get about $15. It’s very colorful and I like her graphic depiction of cats. The last thrift store pick up was a pair of Ralph Lauren pillowcases. These are the yellow stripe version with the Teddy Bears. Last year I found a blue stripe version of a similar sheet set. 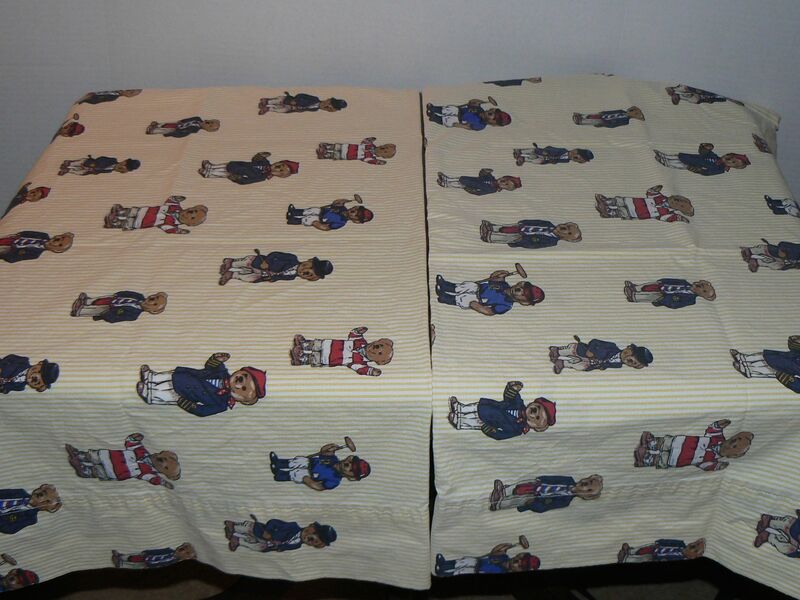 The pillowcases will hopefully bring about $20 for the pair. They were $2. It is beyond cold here in the northeast. It was 3 degrees this afternoon. So many reasons I am looking forward to Tag Sale season! !